Collection of games about Smiley and Emoji includes 12 games in the genre of puzzle and action games for the whole family. Easy to use even for a 5 year old child. Took the child for a long time. 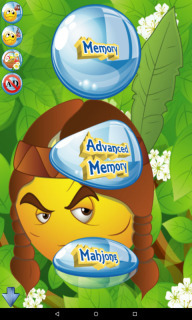 The game develops logical thinking, attention, memory, imagination. Develops fine motor skills of hands. It's cool educational and learning exercise for preschoolers. Cute smileys and high-quality graphics will delight your children!